The long-term viability of the state's deer herd is not dependent on supplemental winter feeding anywhere in New Hampshire. Feeding deer often makes them more vulnerable to aggressive interactions, predation, disease, and vehicle collisions among other things. For the long-term health of deer, the best management strategy is to keep deer dependent on their natural food and cover. 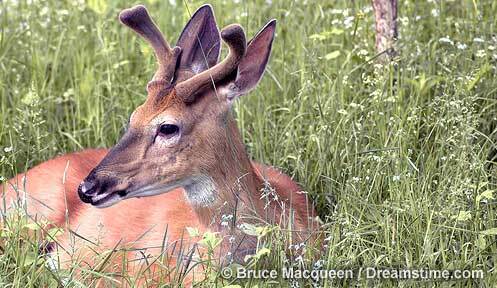 Wintering Whitetails: Supplemental feeding discourages deer from using ideal winter habitat.